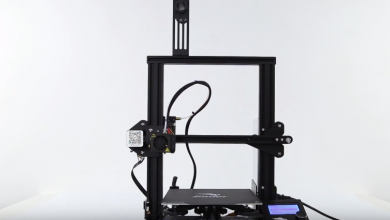 Alfawise U30 is an incredible 3D printer designed for professionals and amateurs alike. It trains hands-on ability, and only 1 hour is required to finish the assembling. It has high cost-performance ratio – any DIY enthusiast will not be unable to resist. 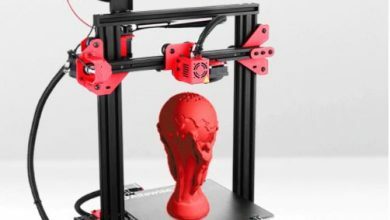 U30 has a large build volume – 220 x 220 x 250mm for most challenges. 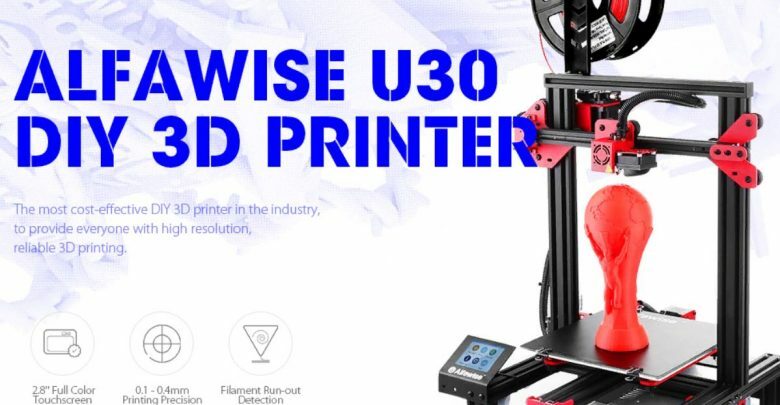 More importantly, printing with Alfawise U30 is hassle-free because the two resume functions prevent any imperfection and failure due to power outage and filament run-out. You can control the process and set parameters on the touchscreen.The Alfawise U30 has dimensions of 42.50 x 40.20 x 50.50 cm and weighs 7.8kg. 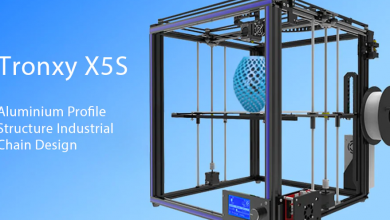 Enjoy easier and more successful 3D printing. 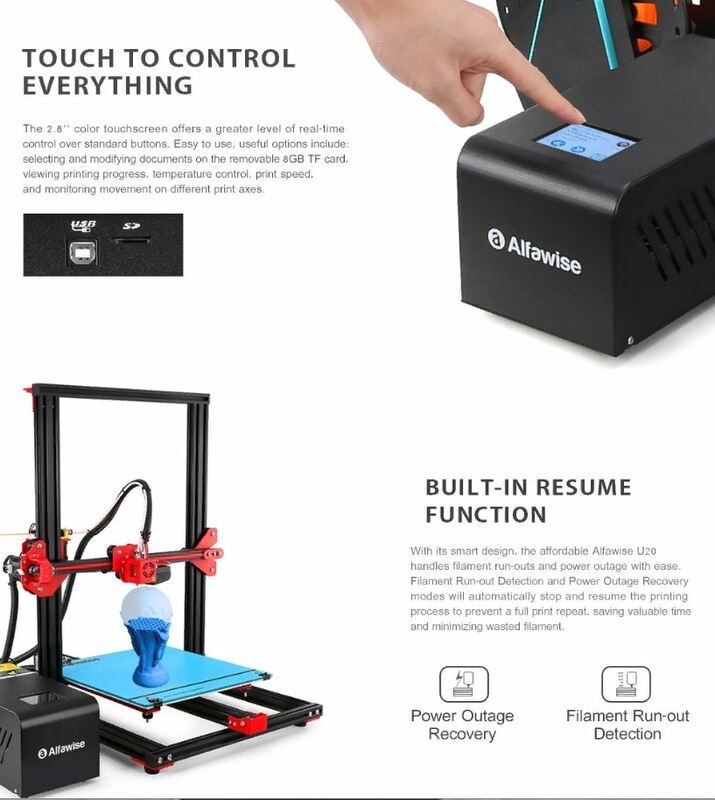 The Alfawise U30 3D printer frame is made of aluminium alloy and it has a full colour resistive touchscreen for more intuitive control, the LCD screen can be installed at both sides so as to be suitable for the left-handed users. 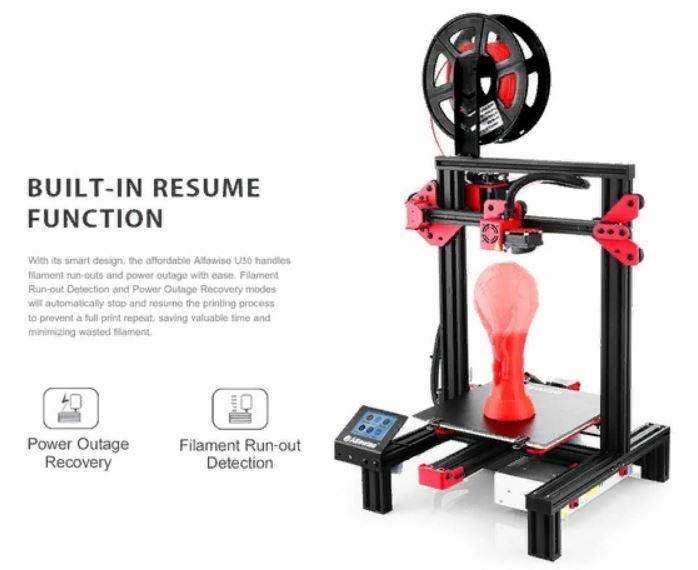 The Alfawise U30 is equipped with a fillament dictator EX8 which automatically stops the printer in case the filament runs out and continues after the new filament is reloaded. 100 Deg.C max. heat bed temperature, 250 Deg.C max. 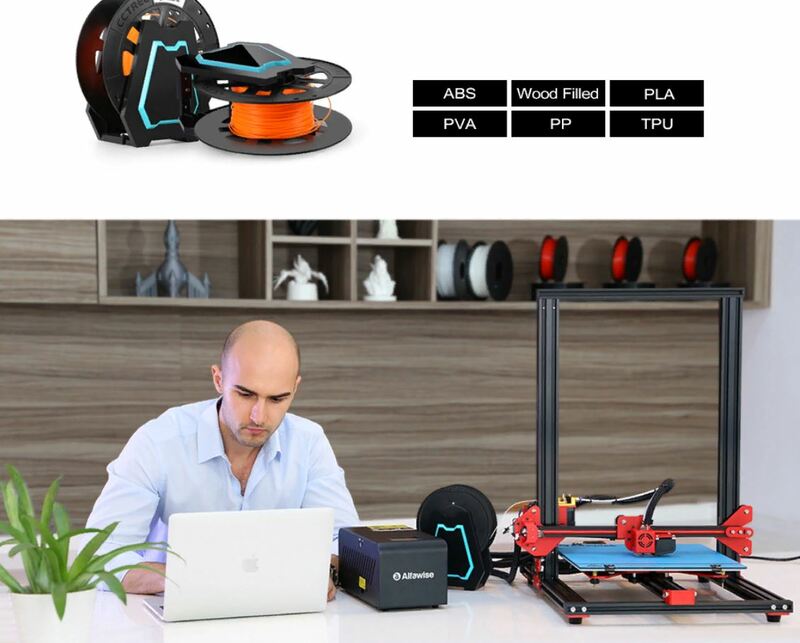 nozzle temperature for various filaments, such as PLA, ABS, PVA, PP, TPU, wood filled, etc. Please read and follow the user manual carefully before you assemble or operate the 3D printer. Always use the correct AC voltage for your region. 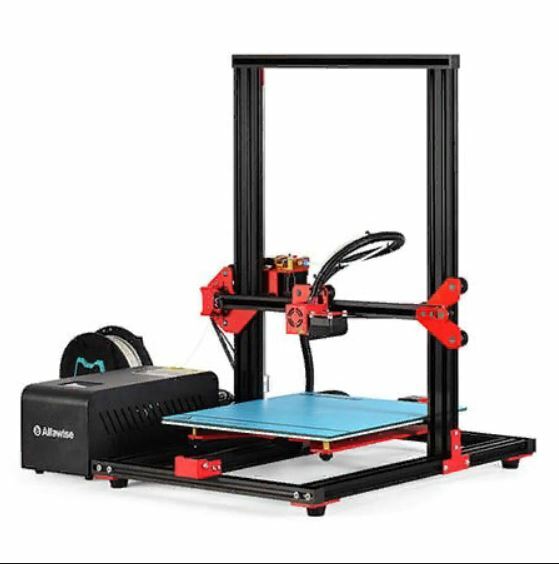 Please do not place the 3D printer near flammable / combustible materials, or any heat sources. 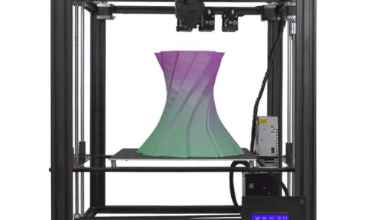 Use the 3D printer only in properly ventilated areas. Maintain a safe distance from the printer.